Last year was an undeniably amazing year for the West Coast Eagles, who were crowned winners of the 2018 Grand Final Premiership. Set for another great year ahead, Infinite Energy is excited to announce we have re-signed as an Official Partner for 2019. 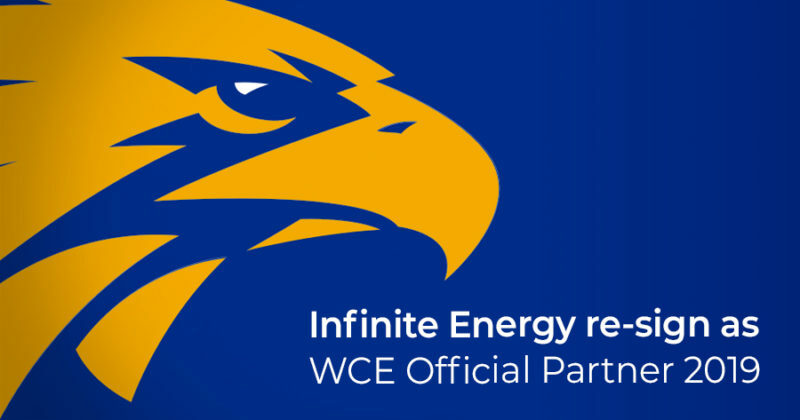 Thanks to our partnership with the West Coast Eagles, Infinite Energy are provided with a unique platform to help deliver cheaper and cleaner energy to both homes and businesses across the country. Keep an eye out to see our LED boundary signage light up the impressive Optus Stadium! Infinite Energy has been partnering with the club since 2014 due to our aligned values of innovation, giving back to the community and working towards a more sustainable future. 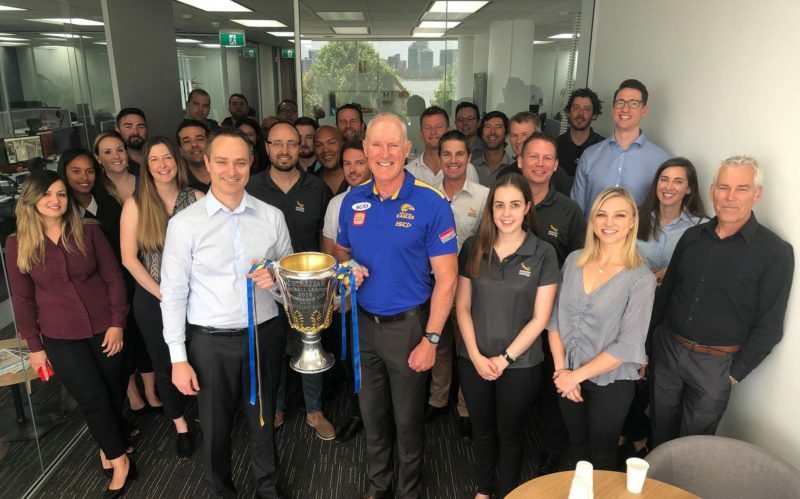 As part of this commitment in working towards being more sustainable, the West Coast Eagles have entrusted Infinite Energy with installing a solar system at their dedicated new training facility, Lathlain Park. The 291kW SunPower and Fronius system Infinite Energy are installing at Lathlain Park will offset 369 tonnes of CO2 each year, the equivalent of saving 1378 trees. As the project progresses, you can find regular updates on our social pages. Infinite Energy looks forward to supporting the Eagles for another successful year on and off the field and wishes them all the best for the 2019 AFL Season.